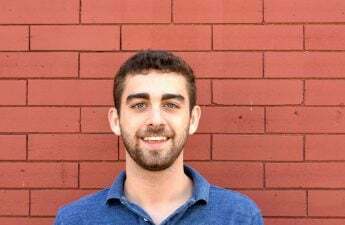 University of Wisconsin’s men’s basketball team’s streak of 19 consecutive NCAA Tournament appearances ended last Friday with their elimination from the Big Ten Tournament against the No. 1 seed Michigan State Spartans. Though for many fans and players, this was an unsatisfactory result, for much of the season, no one would have believed the Badgers could compete with top competition like Michigan State. 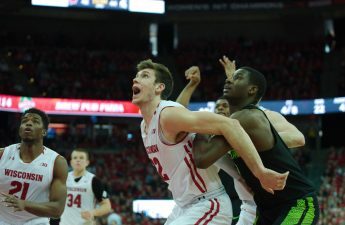 Entering the year, the main storyline for Wisconsin was how Ethan Happ would play with an unproven roster following the departure of several key seniors on the team. Nigel Hayes, Bronson Koenig, Zak Showalter and Vitto Brown all graduated in 2017 after receiving heavy minutes through the Badgers Sweet 16 run. There was still a sense of optimism at the beginning of the year. 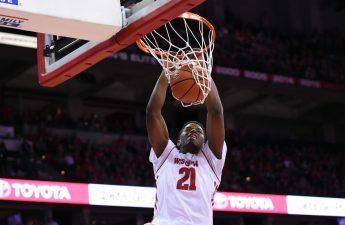 The Badgers strung together some impressive victories against subpar competition with a rotation of players like Khalil Iverson, D’Mitrik Trice and even Andy Van Vliet looking like they could become reliable second scoring options behind Happ. But soon after the Badgers started playing major conference opponents, they were unable to finish games. Close losses against teams like Xavier, Baylor and UCLA seemed to wear on the Badgers psyche until the team began a downward spiral following a 25 point defeat to Ohio State to begin Big Ten play. Soon after the crushing loss, the Badgers learned that starting point guard D’Mitrik Trice and freshman guard Kobe King had suffered serious injuries that sidelined the two players for the remainder of the season. With a depleted roster, an especially shallow backcourt and a young lineup that struggled with turnovers and inconsistency, there was little hope for Wisconsin to have any success this season. Brad Davison, who had played well as an off-ball guard before the injuries, struggled taking over Trice’s role as the primary ball handler. At his lowest point, Davison had seven turnovers against Purdue in the middle of a stretch where the Badgers lost eight of nine games. But then Wisconsin reminded the college basketball world that they would not take the rest of this season lying down, beating Purdue in a rematch game in the Kohl Center where students stormed the court of the Kohl Center for the first time since beating No. 1 Ohio State in 2011. Wisconsin pulled off the upset on the same night they celebrated former Badger Frank Kaminsky — a fitting way to honor the Wisconsin basketball legend. 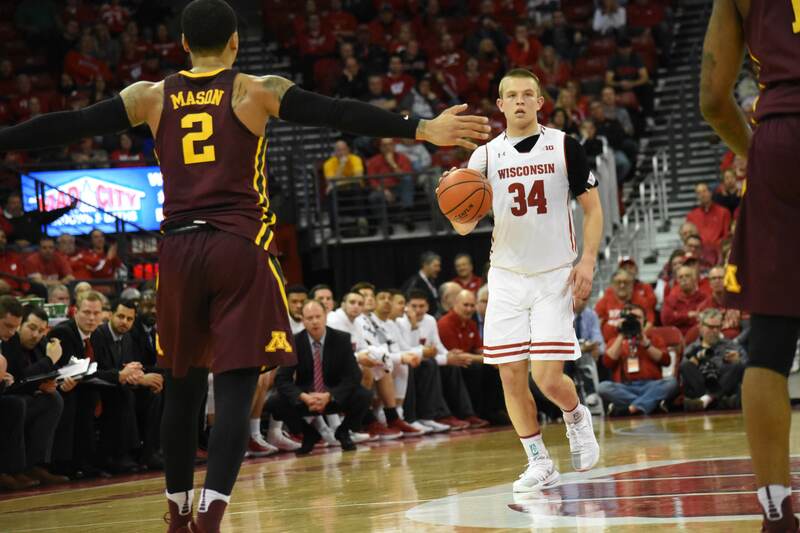 Davison began to emerge as the clear second option to Happ during the Badgers late run. The point guard averaged 14 points and 2.9 assists to just 0.9 turnovers over his final 10 games, including an incredible 30 point outing at the end of the regular season in a loss to Michigan State. “It’s trending. If you look at what we average early in the year it was thirteen [turnovers] early in the Big Ten season. Then it dropped to ten. Now in the last four games it’s been about eight and a quarter so it’s trended. It hasn’t just been one or two games it’s been a consistent trend downward which is good even though we started too high. Typically when you’ve got younger guys and guys that are handling the ball that maybe shouldn’t be handling the ball as much as they are, with the position we were in, that was a result. So I’m glad to see that guys are better in that regard,” Gard said. 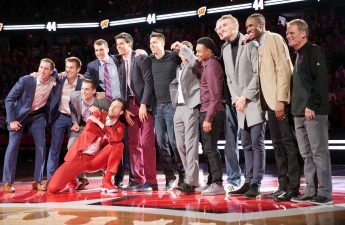 After beating eight seed Maryland and nearly upsetting the one seed Michigan State in the Big Ten Tournament, the Badgers ended the year on a competitive level with the rest of the conference. Unfortunately, because of their early season obstacles, Wisconsin was not able to prove enough to receive their 20th straight NCAA Tournament bid. Now many questions still loom for the Badgers. Happ announced he will declare for the NBA Draft to gain information on where front office members view his stock, similar to what Hayes did two years ago. That being said, Happ would likely not be projected to go in the first round and can rescind his declaration before June 11th so long as he doesn’t sign an agent, making a return to Madison for his senior season probable. Also, some uncertainty remains surrounding Davison’s shoulder injury. 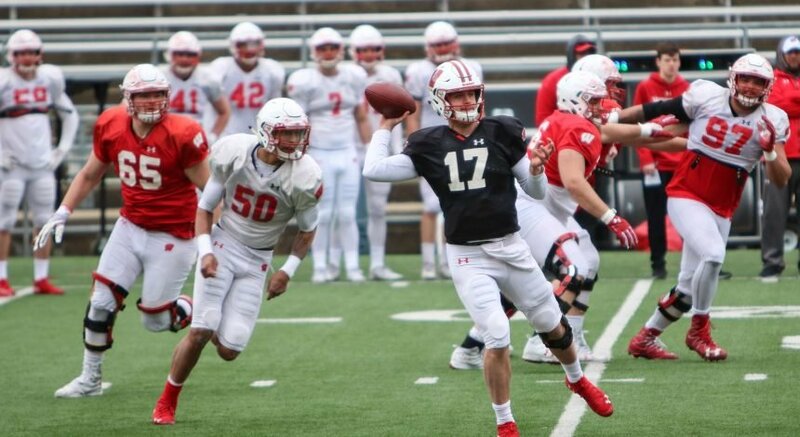 During several games Davison’s shoulder had to be popped back in after getting dislocated, prompting surgery that the freshman will have in the coming days. While Davison is confident that he will be healthy for opening day, setbacks can happen and the medical staff may have to overrule Davison if he has not recovered fully. Despite these unknowns, if everything goes as expected and the team returns fully healthy, the Badgers should be a force to reckon with next season in Happ’s final year at Wisconsin. If their late season play was any indication, the team has developed significantly shooting the ball well with few mental mistakes or turnovers. And that was without key contributors Trice and King, who should also be back fully healthy for next year. 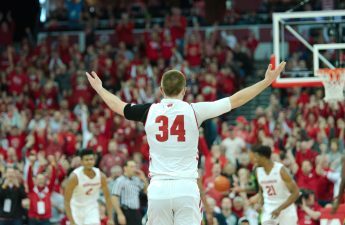 While this was probably the most dismal year for Badger basketball in several decades, all signs point towards Wisconsin reloading for yet another tournament run next March.